Featuring reviews of music, TV shows, movies, books, graphic novels, websites, apps, travel destinations or in fact anything at all which is worthy of a bigger audience. Bates Motel: "Had me hooked from the first episode." Bates Motel is a TV prequel to Alfred Hitchcock's Psycho, but with a modern day setting, and the show is based on the early life of main character, Norman Bates. 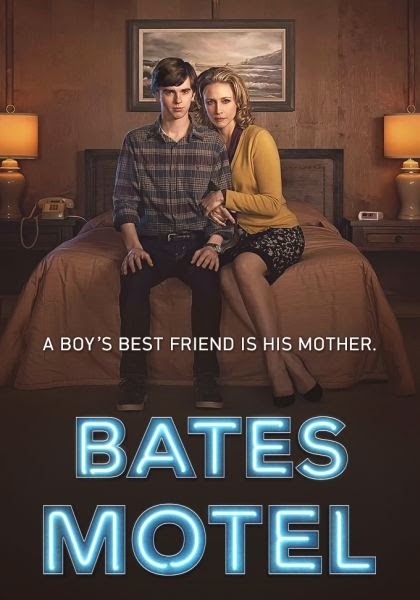 The show explores the loving but intense and occasionally creepy relationship between Norman and his mother Norma Bates, and also examines the psychology of this young Norman Bates and the events of his early life which will eventually lead to him becoming the psycho of Hitchcock's movie. This early version of Norman Bates is a long way from becoming the ultimately unhinged Norman Bates from the Psycho movie though, and you don't have to be a fan of the original movie to enjoy Bates Motel. The show does include some clever and interesting details which fans of the movie will recognise, however, such as the beginnings of Norman's interest in taxidermy, and of course his complex relationship with his mother, Norma Bates. Perhaps the danger with doing a show about a character who goes on to become a psycho killer is that you could potentially alienate some viewers by having a main character who it's difficult to sympathise with. However, at this stage in his life Norman, although already showing signs for concern with his mental state, is nevertheless a largely likeable character. Actor Freddie Highmore is the perfect choice to play Norman, and helped by some talented writers he does a superb job or portraying the deep and complex nature of Norman Bates' character. He also infuses the perfect balance of edginess and vulnerability into Norman, with the overall result being a character who you cheer for even when his psychological problems surface. Charles Fudgemuffin is the author of the critically acclaimed 'Remember to put the bins out' note. Other less notable works include the alien comedy 'How To Save The World' books, and the free short story 'Small Pots Also Have Ears'. Worthy Of A Bigger Audience is part of the Charles Fudgemuffin family of blogs. Awesome Inc. theme. Powered by Blogger.